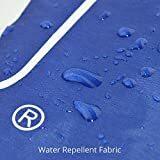 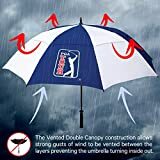 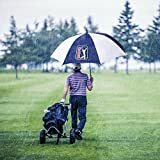 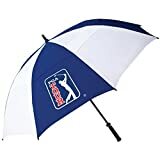 The PGA Tour windproof double canopy umbrella is great for added stability in windy conditions and will fit into all golf bags as it is 158cm (62") long and it weighs 600g (1.3lbs). 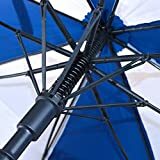 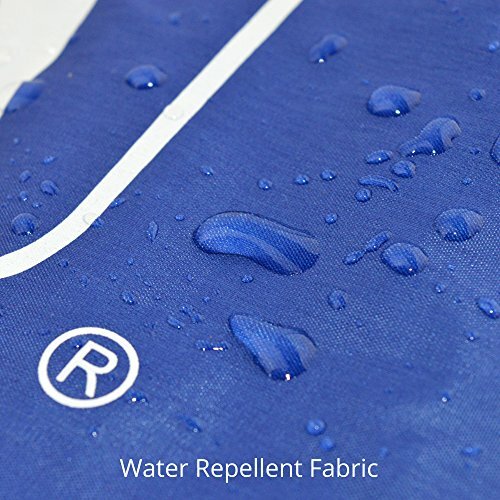 The fibreglass shaft on the umbrella allows for extra strength and it has a simple opening system. 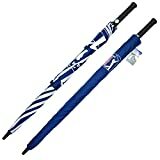 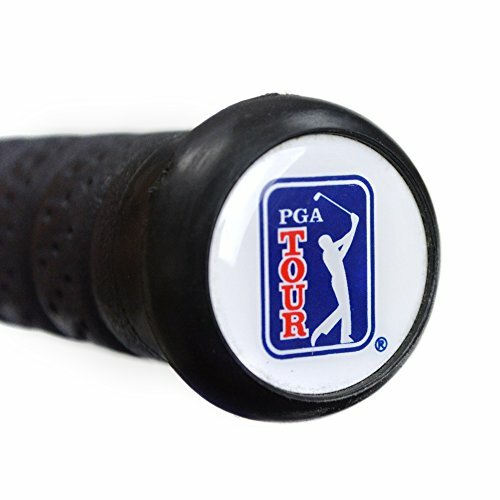 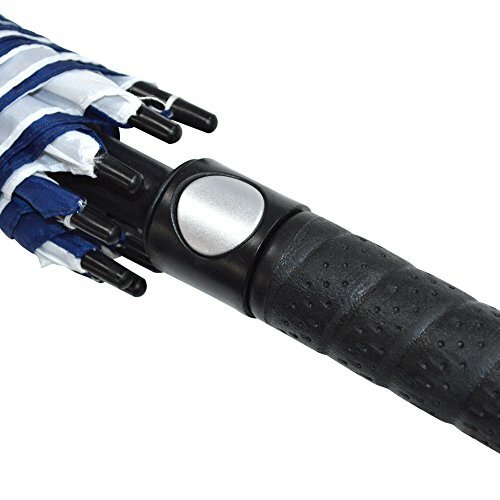 The umbrella is part of the range of official PGA Tour merchandise.